DESIGNED FOR ALL: Our weighted gloves are scientifically designed for Human body and needs in mind. Sculpt, tone and increase endurance while sparring, kickboxing, walking, jogging, cross-training and workout routines. 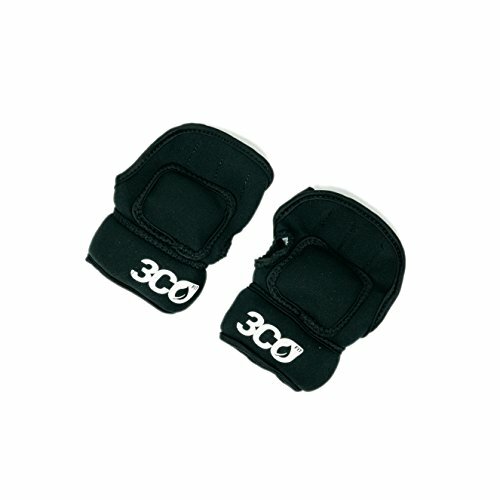 BURN MORE CALORIES: Our pair of 2lb weighted fitness gloves adds resistance to your workouts by combining cardio and weight training resulting in burning more calories. USE ANYWHERE: Easy to carry, you can take your weighted gloves with you; pack them in your gym back or luggage for use anywhere anytime. DURABLE AND COMFORTABLE: Constructed of high quality, soft and stretchy neoprene with reinforced double stitching, weighted gloves stay securely in place. If you have any questions about this product by 3coFit, contact us by completing and submitting the form below. If you are looking for a specif part number, please include it with your message.